Not satisfied with staging one event per year, it appears that Hyper Japan are keen to test the market for a bi-annual Japanese culture event. Judging by the crowds attending this November show that decision was largely successful. Hyper Japan also continues to provide a platform for well-known brands and companies to promote their wares, including Square Enix, Nintendo, Konami, Bandai Namco and NHK World. Amongst the special events scheduled for this event was a rare appearance by Production I.G. with a stage talk by CEO Hisamitsu Ishikawa and acclaimed Japanese anime critic Ryusuke Hikawa. Of course one of the other regular elements of Hyper Japan is the wide range of traditional Japanese food on offer. Everything from yakisoba to shaved ice treats were available. We found Peko Peko’s teriyaki chicken burgers the tastiest option – especially as no one appeared to be selling our usual favourite of chicken katsu curry this time around. The art-themed events appeared to be larger than previous Hyper Japan events with temporary gallery spaces set up as well as manga portrait tables set up by both Umisen-Yamasen (represented by Chie and Inko) and the Manga Social Night team. Manga portrait sessions with Chie and Inko. The stage performances included a presentation by samurai sword artists KAMUI. The work of this team (founded in 1998 by Tetsuro Shimaguchi, Hiroaki Kawaguchi, and Juri Manase) is probably best known from the Quentin Tarantino film Kill Bill. Founder Tetsuro Shimaguchi choreographed the exciting sword fight sequences and also featured as an actor in the film itself. The elegantly staged fight sequences on the Hyper Japan stage were certainly thrilling, enhanced with a soundtrack taken from Kill Bill. But Friday’s KAMUI show had a very special treat lined up. Legendary Japanese guitarist Tomoyasu Hotei turned up to do a brief performance backed by the KAMUI team. Hotei is better known for penning the song Battle Without Honour Or Humanity, which has become established as the Kill Bill theme song. Members of the KAMUI team in action. For an audience perhaps unfamiliar with Hotei’s work directly, his Hyper Japan performance certainly established why he’s such a popular live performer. Hotei demonstrates a magnetic presence on stage as he delivered an electric performance of Battle Without Honour Or Humanity (for those that want to see more, Hotei is also playing live in London on 18th December). As usual, there were also plenty of options for the anime, manga and Japanese film enthusiast with Manga Entertainment, United Publications. Third Window and Otaku having tables set up to sell a good variety of items. United Publications had a limited number of the newly released – and utterly beautiful – Nausicaä of the Valley of the Wind manga box sets at £38 a pop. But you had to be swift to snap them up as they sold out very quickly. Third Window were probably offering the best offers at the whole event with a lot of their catalogue on sale at £5 a film. A bargain when you consider many of the films were recent releases such as Mitsuko Delivers. The cosplayers at Hyper Japan were also of a particularly high standard, no surprise as the event was also hosting the opportunity for a lucky pair to represent the UK at the World Cosplay Summit 2013, organised by TV Aichi. The WCS is an international event that takes place in Nagoya, Japan and features participants from 22 countries. As well as the WCS contest, there was also a competition staged on behalf of the European Cosplay Gathering. The ECG is a Europe-centric cosplay gathering featuring 11 participating countries and November’s Hyper Japan offered the chance for one solo cosplayer and one cosplay group to represent the UK. 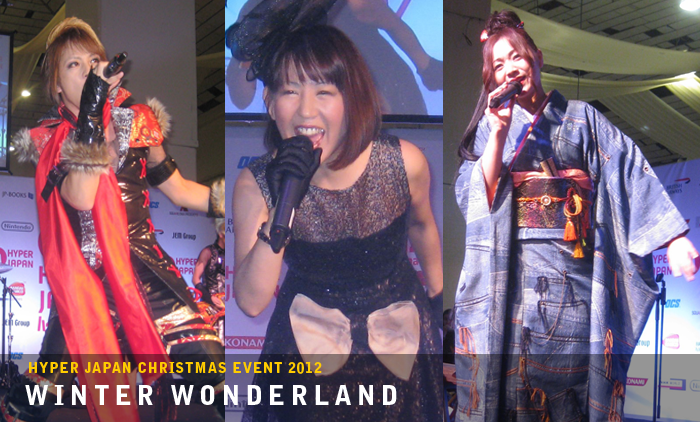 Previous Hyper Japan events gave a platform to a variety of musical guests, including Kanon Wakeshima and Natusko Aso. 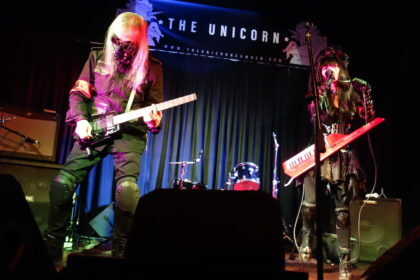 This time around there was a generous selection of musical acts to choose from, but if there was one act that stood out it was NINJAMAN JAPAN. This 5-piece visual kei outfit brought a real sense of theatre to the stage at Hyper Japan, which caught a few people by surprise who may have been expecting a very straight musical performance. While NINJAMAN JAPAN were staging several shows on the smaller Activity Stage, it was on the bigger main stage that their performance really made an impact. The show starts with 2 bad dudes coming on stage to bait and encourage the audience. Then there’s a swift movement stage left as a series of figures run on stage obscured by black sheets. As the sheets drop the members of NINJAMAN JAPAN are revealed. The band are influenced by Japanese super sentai TV shows which feature elaborate costumes and choreographed fight sequences. Almost predictably, the bad guys come back on stage to insult and bait the band and that’s when the fighting starts. If you’re imagining a few weakly staged punches, then you need to witness lead singer Sarino doing a 2-step kick which launches him into the air above his assailant (bear in mind this is all live on stage with no wire work). Throwing the drummer around to deliver kicks? Cartwheeling jaw kicks? These guys have got those moves and more. Then the band take to their instruments and launch into a barrage of guitar-fuelled rock tunes while the defeated bad guys take on new roles as backing dancers. It’s a brilliant concept which works on several levels and is hugely entertaining. This marks NINJAMAN JAPAN’s debut UK appearance and judging by the response future visits might be mandatory. AKARI MOCHIZUKI began singing Enka when she was three, went on to study drama and music in the UK and became a professional singer in 2009. Her combination of Japanese blues, Enka and 70’s-inspired Pop shows off a live performance that manages to straddle several genres. Her debut single Hitori De Nadeshiko is a kitchen sink drama with a superbly infectious melody – and also involves an element of audience participation by encouraging people to call out her nickname “Mochi!” at appropriate moments. 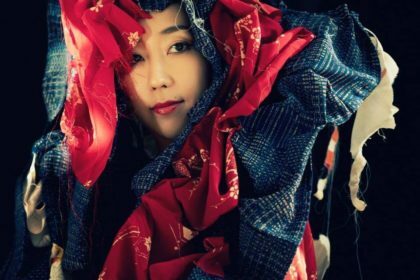 Meanwhile, TOMOCA does her own take on adapting and fusing different styles by weaving together Western instruments such as the guitar and traditional Japanese instruments, such as the shamisen and koto. This style of music, which TOMOCA refers to as ‘Wa-Pop’ (literally, Japanese pop) is an intriguing mix of styles which, on paper, shouldn’t work together, but somehow comes off as a surprisingly contemporary musical concept. TOMOCA’s performance also featured a cover version of the well-known classic tune Sukiyaki, originally by Kyu Sakamoto, one of the most well-known Japanese tunes of the 1960’s to cross over to the West (Sukiyaki topped the US Billboard Hot 100 charts in 1963 – the only Japanese-language song to have done so). Saturday morning at Hyper Japan saw a packed line-up of acts, starting off with Naomi Suzuki. 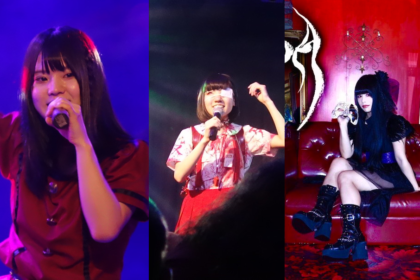 Naomi had already demonstrated her considerable energy and pop sensibility at the Japan Matsuri and the November J-Pop Go event and she received an equally warm reception at Hyper Japan, notably for singing what’s possibly become her theme tune, You’re The Best Partner! From the Iczelion anime series. Hyper Japan also saw the second only performance of new UK-based idol group Oishii Ichigo. This 3-piece outfit demonstrated confident vocal skills, carefully choreographed dance routines and a fine selection of electropop-informed tunes, including new release Gametime. 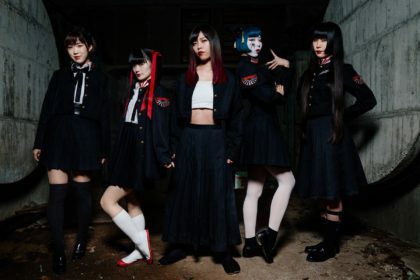 Oishii Ichigo are also managed by Beckii Cruel who was also on hand to perform for the Hyper Japan audiences once again with dance routines to Kyary Pamyu Pamyu’s Tsukema Tsukeru and Beckii’s classic Danjo performance. Each successive Hyper Japan appears to be more interesting, more entertaining and more fun than the last and the event organisers are clearly keen to continue to build on the foundations of each successive event. However, with the planned closing and demolition of the Earls Court site, Hyper Japan may be looking for a brand new home in 2013. 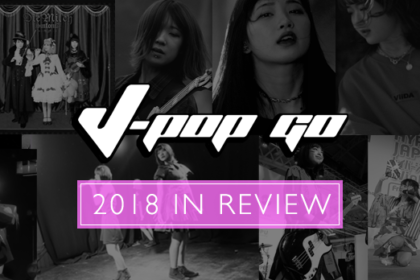 Wherever they go next, J-Pop Go will be following them every step of the way. 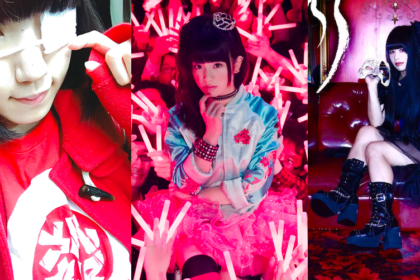 J-Pop Go extends its warmest thanks to the HYPER JAPAN team including Lucy Carey, Mary Moreton, Sayaka Soma and Yukiko Takahashi.